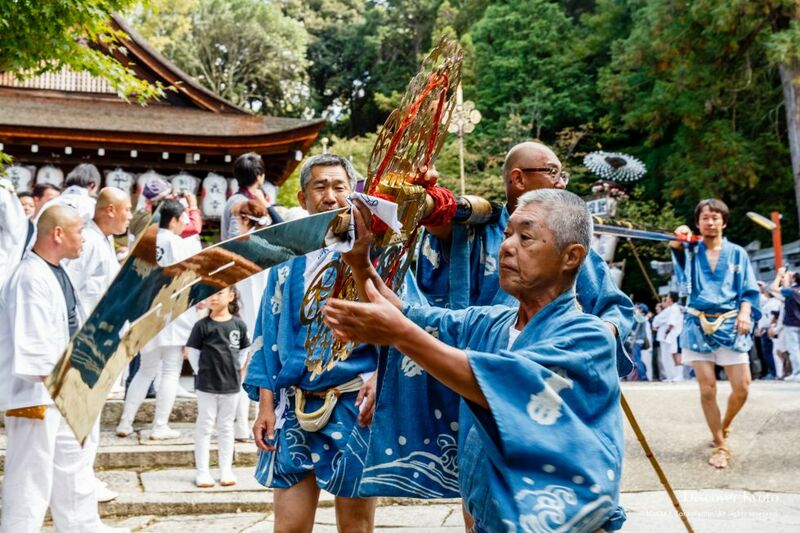 The heat of summer finally dissipates into the cool weather of October, just in time for two popular festivals, the Jidai Matsuri and the Kurama Fire Festival. Fall is here, and the leaves of Kyoto just begin to hint at changing colors. Finally leaving behind the heat of summer, October is a pleasantly cool month in Kyoto that is full of festivals and food to enjoy. 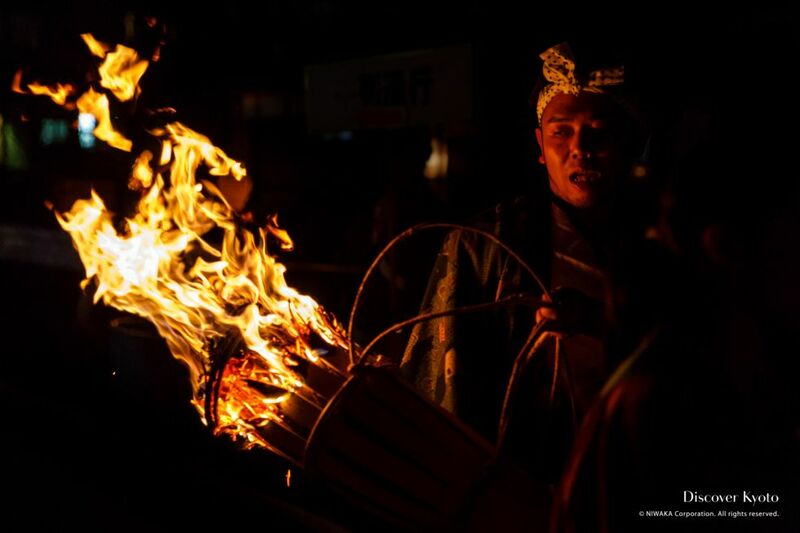 The incredibly popular Jidai Matsuri (Festival of the Ages) and Kurama Fire Festival are held at the end of the month, bringing in scores of tourists from around the country and beyond. Now that the fall season has begun in earnest, the seasonally minded city breaks out its tasty autumn flavors and décor. The most eye-catching aspect of the Zuiki Matsuri at Kitano Tenmangū is the omikoshi (portable shrine) decorated with vegetables and other dried products. 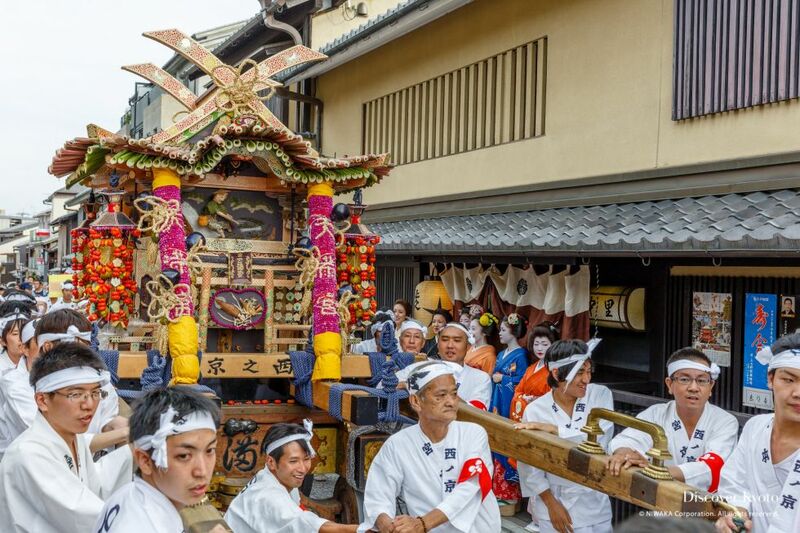 Kadō Matsuri can be enjoyed at Daikaku-ji Temple in Saga-Arashiyama usually for a few days in mid-April, but will be held in October in 2018. 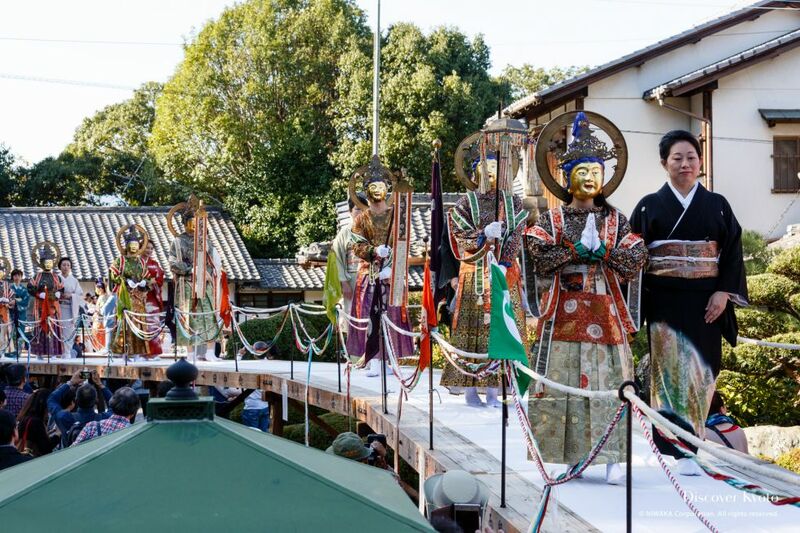 Awata Shrine, a small shrine located in northern Higashiyama near famous temples Shōren-in and Chion-in, boasts a colorful and exciting series of annual rituals and parades in early to mid-October. 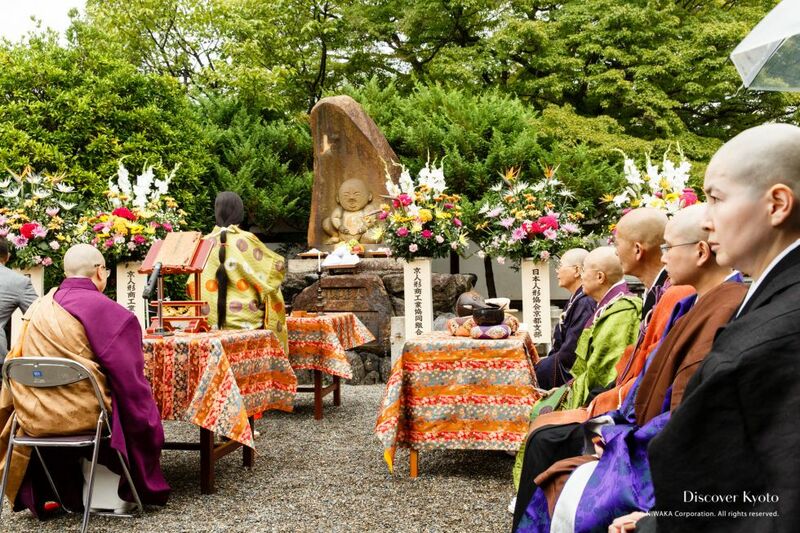 Hōkyō-ji, known as “the Doll Temple”, holds a Doll Memorial Service in October to give a proper send off to dolls and toys that have spent years by their owners' sides. 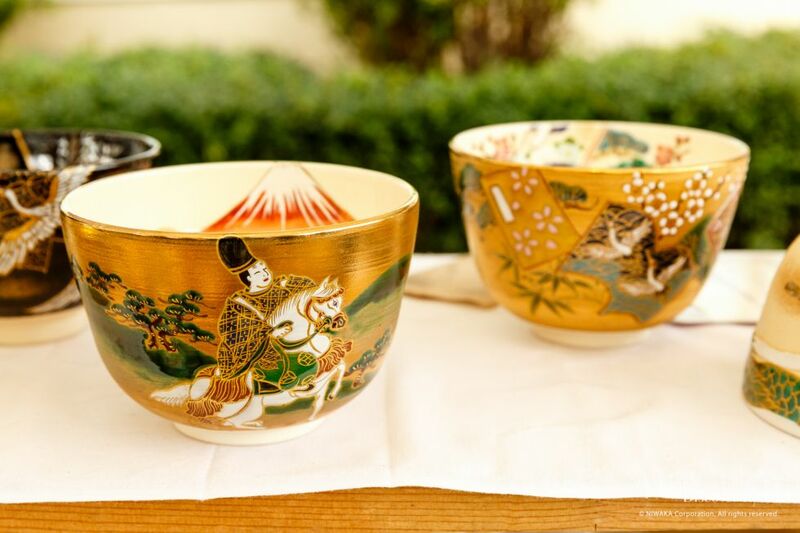 The Kiyomizuyaki no Sato Matsuri is a large pottery festival showcasing goods from both local producers and those from all around the country, with a focus on the famous Kyoto ware known as Kyō-yaki/Kiyomizu-yaki. 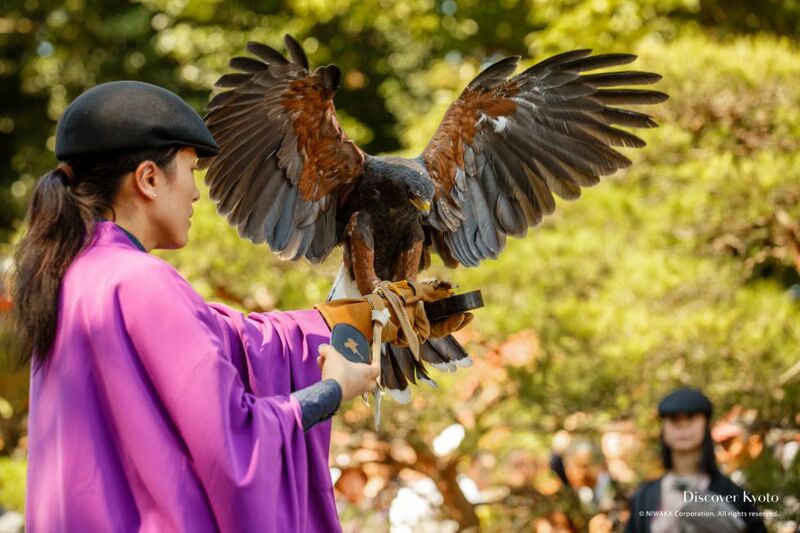 Kenkun Shrine's Funaoka Taisai was conceived as a festival to extol the accomplishments of Oda Nobunaga, recognize his contributions to the country, and tell future generations about his history. 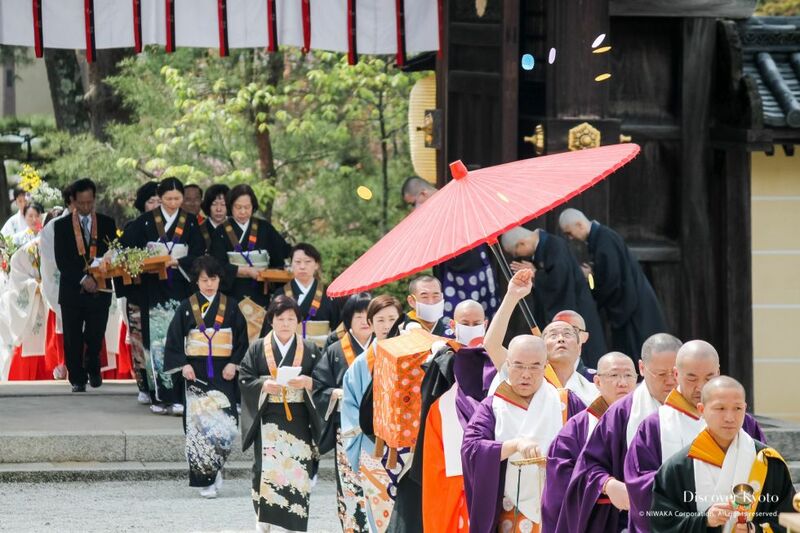 The heavenly host of Amida Buddha is given form at Sokujō-in temple each October for the Nijūgo Bosatsu Oneri Kuyō, with participants donning masks, golden halos, and rich brocade clothing to transform themselves into holy boddhisatvas and make a pilgrimage between two temple halls. Nonomiya Shrine holds a reenactment of the priestess' departure for Ise called the Saigū Gyōretsu each year in October, where visitors to the gorgeous Arashiyama area can watch a procession of men and women in court regalia make their way from the shrine down to the river. 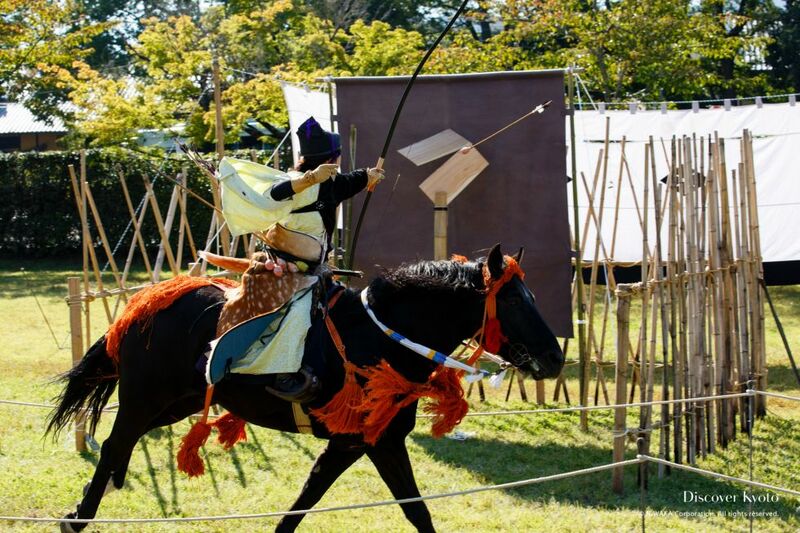 Kasagake Archery is one of the three original styles of archery performed for the entertainment of shrine deities in Japan, and can be see at Kamigamo Shrine in October. 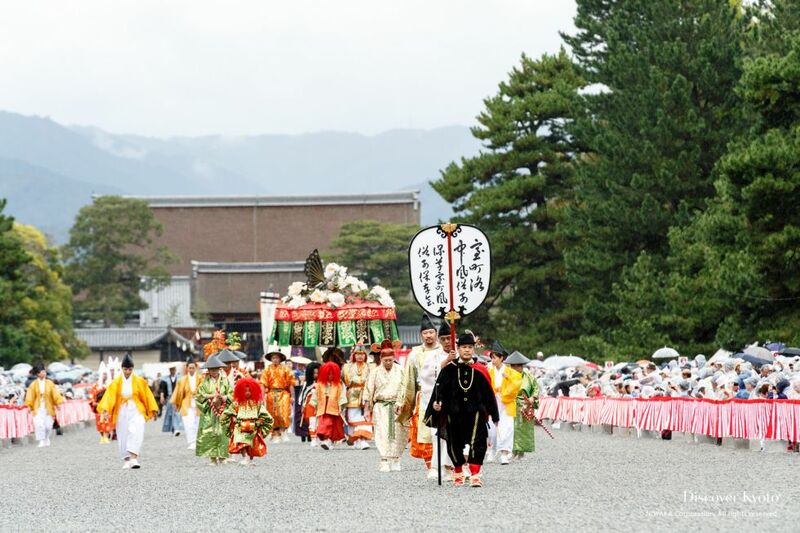 The Jidai Matsuri is primarily composed of a two-kilometer, five-hour long procession of countless volunteers dressed in historical garb, representing Japanese cultural history from the Meiji era all the way back to the Enryaku era in the 780s. The Kurama Fire Festival is one of the most famous fire-based festivals in Kyoto and is also considered one of its most eccentric. 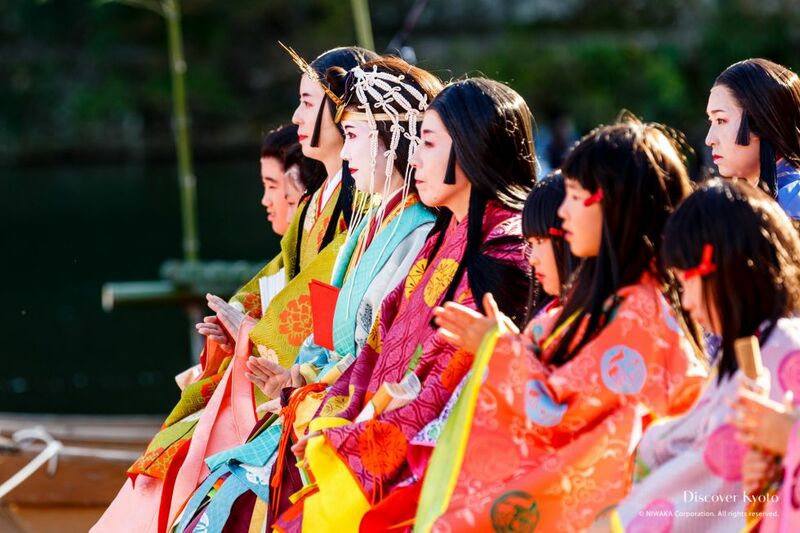 The famous geiko and maiko of Kyoto’s five geisha districts perform large-scale performances for the public once a year, but what many people don’t know is that each district also holds a smaller, more intimate performance... 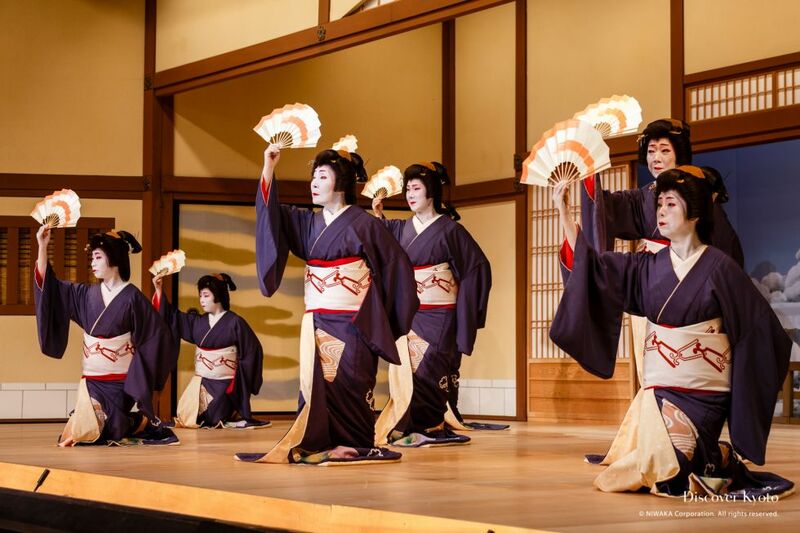 In Kamishichiken, this performance is called Kotobuki-kai!